Now that’s more like it. This is the first episode of season 5 that I’ve genuinely enjoyed from start to finish. Raylan being a jerk, scummy characters acting scummy, secret safes full of gold, more Wynn and Mikey, Rachel and Art, and Boyd proving that he’s just as smart as we expect him to be. And then there’s Dewey. Poor, sweet, simple, Dewey. The poor kid really should’ve stayed in jail. Spoiler alert! We spoil important plot points from The Shield and The Wire this week. Consider yourself warned. Never trust a woman named Mara. Susan: First things first: it’s weird that another evil, brunette, female character named Mara is being paired with Walton Goggins, right? Is anyone else getting DANGER DANGER DANGER feelings about Miss Mara? This week, I physically flinched every time Boyd said her name. Could she possibly be more dangerous than Mara from The Shield? Surely the Justified writers know we’ll make the connection. Steven: Goggins surely does. This is actually more complicated than it sounds because it requires comparison of like-but-unlike Maras and predicting what Mara (Justified) will do, and if that will surpass what Mara (Shield) did. Mara (S) was such a perfect Jezebel. She controlled Shane from day one, leading him into marriage, into (spoiler alert!) killing Lem, and eventually into killing her, their infant child, and himself! Her influence was evil from day one, and yet on the surface she played the sympathetic, well-meaning wife all the while. In contrast, thus far Mara (J) has talked the talk–what was up with the whole hot-body cold-hands monologue?–however, when it comes to actual damage, she hasn’t actually inflicted much damage. Even if she’s as hard-as-nails as she says, I doubt she can damage Boyd as badly as Mara (S) damaged Shane. Maybe that’s because, at the end of the day, Boyd has less to lose. Does he even care about Ava this season? Bearing in mind how Boyd’s visit to the prison went, how long do we think Ava will hold out before turning on her once-enemy turned love-of-her-life? Apparently jail is hard on a relationship. Susan: I agree that this new version of Mara seems less destructive than the original, and I’m comforted by the fact that Boyd is a lot more in control of his faculties than Shane Vendrell ever was. However, Boyd is a man being pushed into corners in all parts of his life. His fiancee is in jail, and her freedom depends on an angry old man and a dangerous Latvian who seems far too interested in Boyd’s tattoos. Meanwhile, his cousin and former confidante just stole his drugs and killed everyone in sight and he’s lost his Dave Foley Canadian drug pipeline. Boyd has never been a very loyal character, and with Ava far away and unhappy with his efforts to rescue her, it’s not hard to imagine Boyd straying. As for Ava, what play does she have in jail? Boyd is right – Ava killed Delroy, not him. Everything she could give up on Boyd she would’ve been complicit in. And if she went and turned on him to get out, what kind of life would she have left in Harlan? Things are bleak for poor Ava. Maybe she needs Loretta’s social worker to create an opportunity for her. Speaking of Raylan’s new love interest, what are your thoughts on not-so-squeaky clean Allison? Steven: Hmmm…old me says, Fun! However, new me says, Headache! I think I’m past the point in my life of being okay with finding a half-naked girl doing drugs in my house. I’m reminded each season that while Raylan is a Kentucky-style Don Juan, he’s also desperate. Argument: non-desperate men aren’t drawn exclusively to low hanging fruit like Allison, women who both require little and are trouble. Winona on the other hand required effort and planning and self-sacrifice. The part of Raylan that is capable of these things was once drawn to Winona–to the wife. Now he’s attracted to the half-naked girl. Unfortunately they are never squeaky clean, and rarely worth the trouble. I can’t decide if this one is just mixed up or if she’s really plotting. “You tend to get involved with women who run afoul of the law,” she tells Raylan, knowing he’s a sure thing. If she doesn’t steal that gold in the end, a part of me will be disappointed. To change topics (slightly) what will become of Dewey this season? Do we think he’ll be able to keep his whore house (his dream), or will Darryl take the throne? Susan: I think Allison will for sure make a play for that gold. I doubt it was her intention when she first met him, but I’m sure she’s picked up a few things from Loretta. Who knows? Maybe she’s working Raylan for/with Loretta. At any rate, it can’t be an accident that they included the scene where Raylan tells Allison exactly where the gold is currently and where it will be in the future. I find Raylan’s code of ethics this season very interesting. He doesn’t seem to care if Allison’s a criminal, but he’s very down on the meth manufacturer who lost his kid because Allison planted drugs in his legos. Is Raylan being reckless as a way to justify his absence in his kid’s life? Or is that diatribe to the meth head just his guilt coming to a head? Girls like Allison have always been Raylan’s drug of choice (as she alludes to while rolling a joint in his bed), but this one seems particularly dangerous. Oh Dewey. Harlan’s no place for you and your whorehouse dreams. Poor, poor, Dewey. Why do I feel so much for Dewey? His plight with Darryl is heartbreaking, and his scene with Boyd was the best in a great episode. Dewey misunderstanding curb appeal and begging Boyd to give him some money to get his “difficult times” out of his hair is Justified writing at its sharpest. He just wanted to make an honest living with his friends and his whorehouse and now Darryl’s come in and blown it all up. 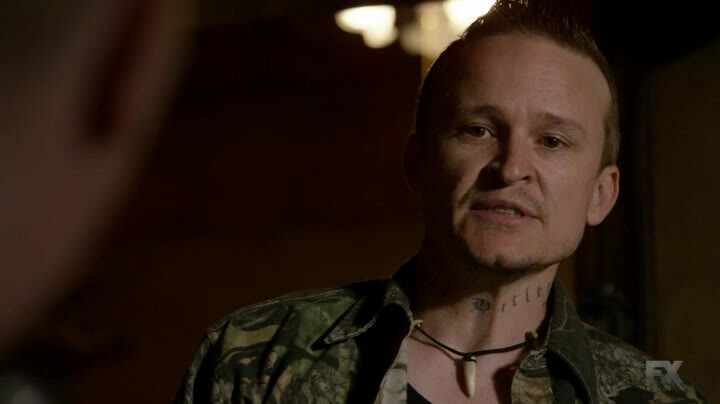 I think Dewey would’ve been just fine with Messer skimming, but now he’s got to kill his friend to satisfy Darryl. I got a very Bodie and Wallace vibe from that scene that made me sick to my stomach. Where’s Raylan when you need him? Steven: That being said, Messer’s no Wallace. I also have a soft spot in my heart for Dewey, which is actually quite elitist of me. In every respect, Dewey is an awful human specimen. And yet I don’t require him to live up to any measure of virtue–not like the ultra virtuous demands I place on Raylan. Part of it is because Dewey is lower class, part of it is because he’s dumber than the house plant I have in my office, but the bottom line is that I just view him as worse than me. According to Aristotle, this makes Dewey Crowe perfect for comedy. As for his cousin Darryl, though, I’m not quite sure. Susan: I loved that moment when he stomped his feet in his confrontation with Boyd, and how he puffed up ever so slightly when Boyd complimented him on the man he’s become. Dewey is such a child, in so many ways, that I want so desperately for him to find the right person to look up to and for someone to look after him. He’s like a strange, simple child, or Jesse Pinkman in the early days. There’s a sincerity to Dewey that I don’t want to see snuffed out by Darryl and his Haitian friend. Sadly, though, I don’t think Dewey’s on the path to redemption. Has Art finally given up on Raylan? He seems to be gently warning him about the potential consequences to his actions, but I think Art might have been burned one too many times by Raylan to hold love for him these days. No word on the secret investigation this week, but sending a chaperone (or “back-up” as some call it) is not necessarily a sign of goodwill. Second best scene this week? The conversation between Wynn and Raylan. I love having Wynn around more this season and his delightful realization that Raylan was there to protect him from a problem he caused was perfect in every way. I had no idea Mikey had it in him. So Raylan and his misunderstanding about the man with the bat ended up getting a woman nearly choked to death, a man getting shot and severely wounded, a gold fortune seized and Wynn’s life being threatened. All because he was entertaining a lady friend after hours. Seems like Raylan’s everyone’s lives are slightly more precarious this season. The most exciting thing about the preview for next week’s episode was the triumphant return of Tim. Welcome back, Jacob Pitts! Are the days of getting backstory on the other Marshals over? Is Rachel just around to point out when Raylan is being extra reckless? 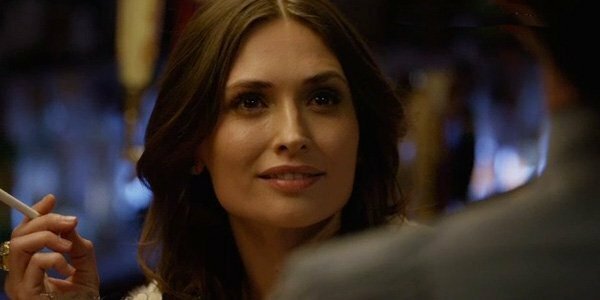 I like that she gets through to Raylan more than Art, but I’m always afraid that they’ll tip that over into romantic territory. Rachel seems much too smart to fall for that. I would, however, be open to a series finale twist that reveals that she and Tim have been together for years. That would be cute. 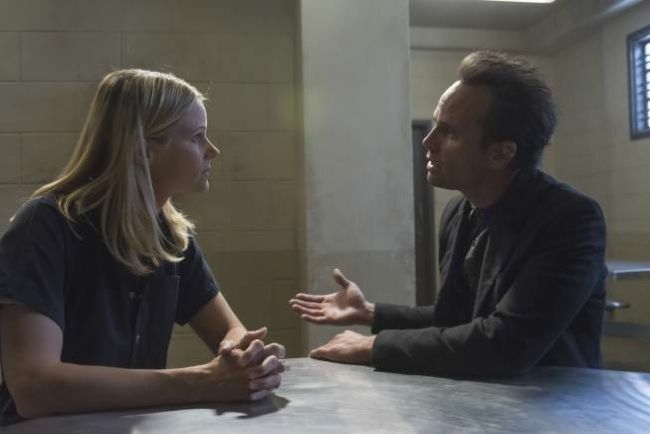 Speaking of series finales, FX revealed that next season will be Justified‘s last. The network would’ve like to keep it going, but creator Graham Yost thought it was time to walk away. I’ve started mourning already.